The 2 or 3 good films from 2016, and “Sunflower”, a lost De Sica classic. Donald Clarke is one of the few consistently reliable film critics on these shores, so when in a recent Irish Times column he described Arrived as one of the best films of the year, I trotted along to the cinema confidently expecting to be wowed. A couple of hours later I came out scratching my head. It’s all right, and it certainly is one of the best Hollywood films of the year, but that surely is setting the bar at an embarrassingly low level. So naturally enough, I set about compiling my own list of the year’s best films. And do you know what, he was right, though not I suspect in the manner that he meant. 2016 was a dreadfully disappointing year film wise. Heroically, the Guardian managed to find no fewer than 48 films to recommend as their films of the year here. Including: the comic book pair of damp squibs Captain America and Deadpool, the Coen’s pedestrianly conventional Hail Caesar, the latest unnecessary film-by-numbers from Tarantino The Hateful Eight, Tom Ford’s there’s-no-there-there Nocturnal Animals, reviewed earlier here, and, yawn, Ghostbusters. This being the Guardian they even managed to recommend a couple of Irish films. 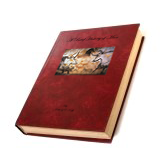 The, whisper it, hopelessly muddled Room – whose story is it, his or hers, and what do they want? If it’s to escape, then what’s the second hour about, and if that’s not what they want, then what’s the first hour about? And Sing Street, which would be fine in a TV listings for a Sunday evening as a marginally more lively alternative to The Antiques Roadshow, but should never have been allowed within a three hundred mile radius of an actual cinema. And, inevitably, they warmly recommended I, Daniel Blake, which is, frankly, little more than a Ken Loach film. I know I know, you’re right, that is harsh, but honestly, that’s really all it is. There were a handful of memorable films. Whit Stillman’s charming adaptation of a minor Jane Austen, Love and Friendship, László Nemes’ harrowing Son of Saul, Ciro Guerra’s Embrace of the Serpent (reviewed earlier here), and Matteo Garrone’s majestic Tale of Tales (reviewed earlier here). But if in ten years’ time you were watching a television somewhere and you recognized a scene from one of the above, which one of them would make you stop what you were doing to think, I hope I have time to sit down and watch the rest of this? 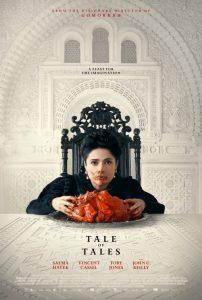 Tale of Tales, just about, so long as the screen was sufficiently grandiose to do it justice. But there’s nothing there that would make your heart skip a beat at the thought of having the chance to see it again. What do I mean by that? Sunflower. 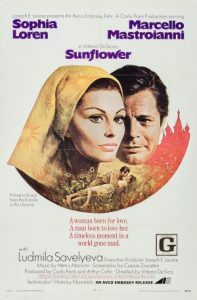 Sunflower was part of a last great hurrah that the truly great Italian film maker Vittorio De Sica enjoyed, but had the misfortune to be the first of two films that he released in the same year, in 1970. 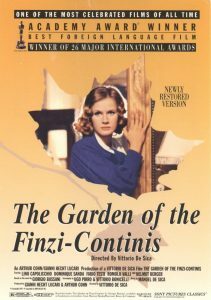 And it ended up being very unfairly eclipsed by his second film, the exquisite and heart-breaking The Garden of the Finzi-Continis, which went on to win the Academy Award for best foreign film that same year, which I reviewed earlier here. Sunflower is every bit as emotionally devastating though in a somewhat different way. Sofia Loren and Marcello Mastroianni fall in love on the eve of the second World War and, despite their best efforts, he is eventually forced to do his bit and is dispatched to the Eastern front. When he fails to return, Loren sets off for Russia determined to find out what has become of him. Very much a companion piece to Demy’s sublime The Umbrellas of Cherbourg, like that film Sunflower takes an apparently mundane, everyday story, and gives it incredible emotional resonance and depth by transforming it into an impossibly bold and dazzlingly brilliant melodrama. Almost as ravishingly colourful as Cherbourg and, though not actually a musical, it effectively feels like one such is the power of Henry Mancini’s devastating score. I saw it a couple of years ago on Sky Arts, but I notice that, in their efforts to make it a 24 hour channel, in contrast to say the likes of BBC4, they rotate a number of their films and programmes throughout the night and into the morning. So you can still find it every now and then hidden in their schedule. If you get the chance, watch it. And in ten years’ time, when you catch a glimpse of it on a screen somewhere, you’ll know what I was talking about. 3 new films, Arrival, Nocturnal Animals and a new Storyville. 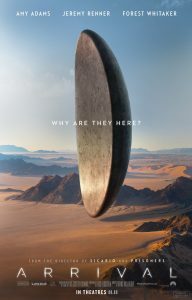 Arrival divided critics when it reached cinemas this autumn, with some hailing it as a strong contender for film of the year and others wondering what all the fuss was about. It’s a scifi film from Canadian filmmaker Denis Villeneuve in which Amy Adams is given the task of trying to decode the alien language of the visitors who arrive here from outer space. It is just about worth seeing, but only because of the subtle twist it has in its tail and the less you know about that the more pleasantly surprised you’ll be by it. But it’s a very conventional film. One to put your feet up to with a calming cup of cocoa on a rainy winter’s eve. Nocturnal Animals is the second film from Tom Ford after his impressive debut with A Single Man in 2009. The latter, as well as being as exquisitely crafted as everyone assumed it would be, it being a Tom Ford film, was also a quietly moving film with significantly more in the way of emotional depth than many had expected. His latest offering however is exactly the sort of vapid exercise in surface style that everyone had feared would be the result first time around. 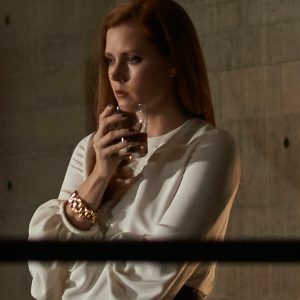 Amy Adams stars again, this time as a privileged gallery owner in LA whom we’re clearly meant to sympathise with. She gets sent a novel written by an ex and the film morphs into a neo noir tale of southern revenge. Colin Firth in A Single Man. It all looks impeccable of course, but all Seamus McGarvey’s sumptuous photography does is to further emphasise how little there is here beneath the surface. Whether Nocturnal Animals is an aberration, and the real Tom Ford is the man who brought us A Single Man, or whether in fact that film’s success had more to do with Colin Firth and the source material provided by the Christopher Isherwood novel, only time will tell. 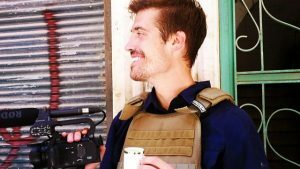 I promised myself that I would force myself to watch all and any Storyville docs that were screened on BBC4, but I really wasn’t looking forward to what I presumed would be a dull but worthy film on James Foley, the American photo-journalist executed by Daesh. Once again, I couldn’t have been more wrong. Jim – The James Foley story was a riveting window into what life was like for the nineteen other journalists who were imprisoned with him in Syria, and an incredibly moving celebration of a life cut short. In a dignified and measured way it was absolutely devastating. 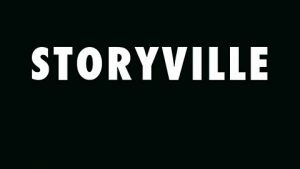 If you’re not familiar with the Storyville strand, I reviewed it and three or four of its remarkable films earlier here. And if you can, watch the James Foley Story. You can see the trailer for Arrival here and the trailer for Nocturnal Animals here.